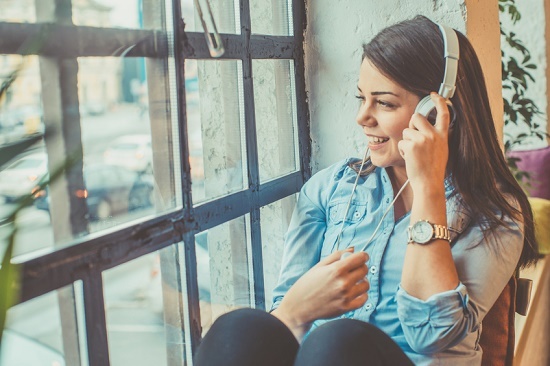 Can Your Favorite Music Shape Your Mood? Without knowing you, it would be hard for me to guess, due to the number and variety of music styles. But it would be safe for me to assume that your favorite song probably brings about an intense emotional reaction. When people describe their favorite music, they frequently describe it as occasionally giving them “the chills.” You’ve most likely experienced this with your favorite music. But the fascinating part is that experiencing this feeling is not dependent on any one kind of music. Researchers at the Montreal Neurological Institute had participants bring in their favorite music. Even though each participant documented an intense emotional response, the music genres ranged from classical to jazz to punk. With so much diversity, what was responsible for this fundamental emotional reaction? The answer, as it so happens, is dopamine. Scientists at McGill University discovered a direct link between the elation generated by music and the discharge of the neurotransmitter dopamine in the brain. So music is associated with dopamine, and dopamine to motivation, but the music itself is less significant than the psychological response it brings about. This leads to some potent implications. Let’s take another look at your favorite song. Has it ever given you “the chills” or created a strong emotional reaction? If yes, you’ve just discovered one of the best ways to release more dopamine into your system, which is a brain hack for positivity and inspiration. So what genre of music should you go with to achieve these positive emotional responses? The fundamental insight from the aforementioned research is that it depends solely on your preferences. The music can be joyful, sad, upbeat, slow, instrumental, classical, rock, or rap. The secret is taking stock of the emotional reactions you receive from various songs and genres. Once you know how you respond viscerally to specific songs, you can use those songs to elicit the sought after emotional reaction, producing the optimal emotional state for each scenario. As an example, if rock ‘n’ roll gets you pumped up and motivated for a workout, you may want to listen to your favorite Metallica album while heading to the gym. Conversely, if you’re looking to relax after a stressful day at the office, perhaps the best of Beethoven is the approach to take. And last, if you have hearing loss, consider that the latest hearing aid technology that can stream music wirelessly from portable devices straight to your hearing aids. This puts you in an exceptional position to reap the benefits of this research. Simply dial in your favorite tracks on your phone or portable device, deliver it wirelessly to your hearing aids, and let the dopamine start flowing. By the way, what is your favorite song? And which songs or music genres elicit strong reactions or specific moods for you?